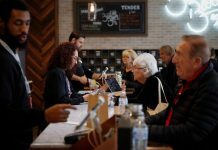 Los Angeles (AP) – California officials bucked a recent court ruling Friday and offered reassurance to concerned coffee drinkers that their fix won’t give them cancer. The unprecedented action by the Office of Environmental Health Hazard Assessment to propose a regulation to essentially clear coffee of the stigma that it could pose a toxic risk followed a review of more than 1,000 studies published this week by the World Health Organization that found inadequate evidence that coffee causes cancer. The state agency implemented a law passed by voters in 1986 that requires warnings of chemicals known to cause cancer and birth defects. One of those chemicals is acrylamide, which is found in many things and is a byproduct of coffee roasting and brewing present in every cup of joe. Judge Elihu Berle found that Starbucks and other coffee roasters and retailers had failed to show that benefits from drinking coffee outweighed any cancer risks. He had previously ruled the companies hadn’t shown the threat from the chemical was insignificant. The state’s action rejects that ruling. 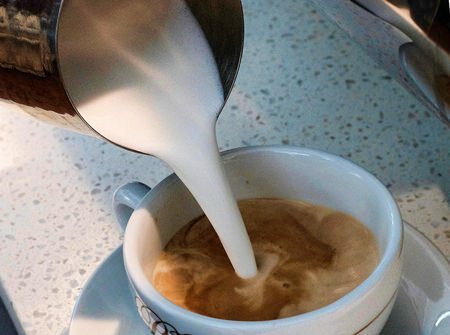 Scientific evidence on coffee has gone back and forth many years, but concerns have eased recently about possible dangers, with some studies finding health benefits. Big Coffee didn’t deny that acrylamide was found in the coffee, but they argued it was only found at low levels and was outweighed by other benefits such as antioxidants that reduce cancer risk. The state agency’s action comes about a week after bipartisan bills were introduced in both houses of Congress to require science-based criteria for labels on food and other products. One of the sponsors, Rep. Kurt Schrader, D-Oregon, alluded to the California coffee lawsuit as an example of misleading warnings.